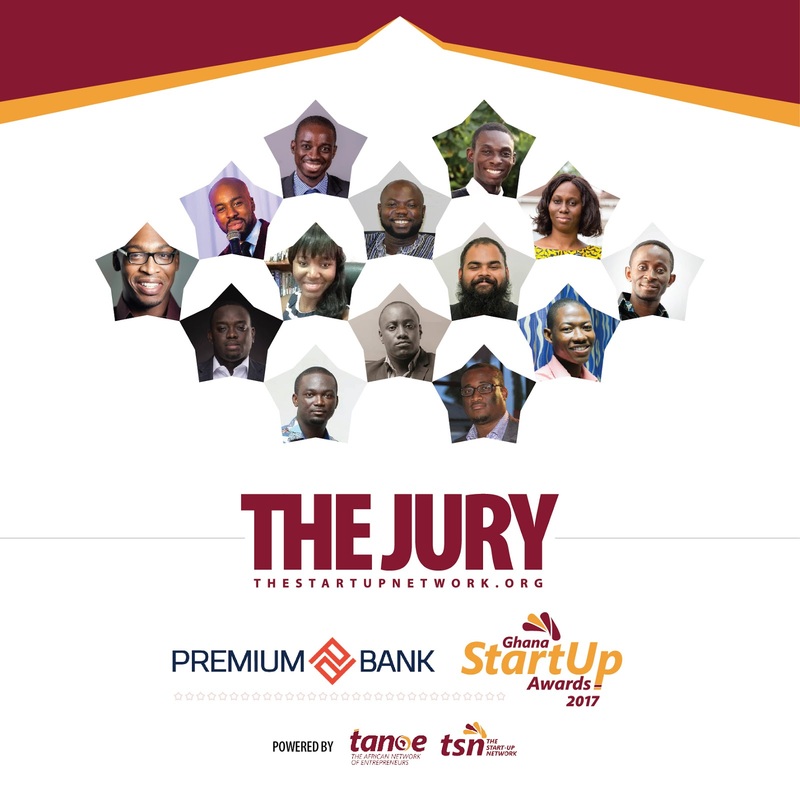 The African Network of Entrepreneurs (TANOE) has announced the 14-memberjury involved in selecting finalists for the 2017 edition of the Premium Bank Ghana Startup Award. The award which is organized by TANOE will select from various organisations in Ghana. The jury include: Ekow Mensah (Chairman, Ghana Startup Awards & CEO, TANOE), Ato Ulzen-Appiah (Director, GhanaThink Foundation), Jorge Appiah (CEO, Kumasi Hive), Ashwin Ravichandran (Director, MEST Incubator), AmmaBaffoe (Director, MEST), Daryl Kwawu (Host, Joy Business Van), John Armah (CEO, Orios Group), Prince Akpah (MD, Avance Media), Henry AgyeiAsare (CEO, TentMaker Ghana), Kwame A. Opoku (CEO, Idea Factory Africa), Alain Gbeasor (Chairman, Alliance of Young Entrepreneurs), Ethel Cofie (CEO, Edel Technology Consult), Paul Payne (Director, British Council Skills Hub) and Gideon Brefo (CEO, HapaSpace). The awards which was launched IN 2016 is geared towards celebrating ambitious and indigenous start-up businesses making impact, contributing to economic growth, meeting social needs, creating jobs and putting Ghana on the global economic map. There are 15 categories for this awards. They include: Agriculture, Education, Fashion, Finance, Health, Manufacturing, Arts & Tourism, Media, Processing, Social Enterprise, Technology, Startup Entrepreneur of the Year, Startup of the Year, Student Startup of the Year and Non-Ghanaian Startup of the Year. 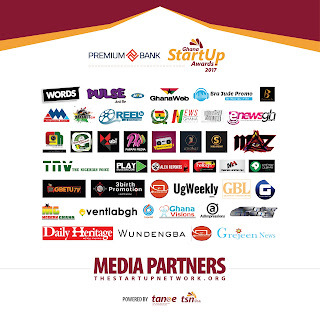 Ahead of the awards, TANOE will be announcing the inaugural Ghana Startup Club 100, a list of the most outstanding startups in Ghana who will also double up as nominees in various categories of the award. In a statement by Ekow Mensah, Chairman of the Ghana Startup Awards, he was confident that the jury put together will do an exceptional job of selecting the most deserving startups for this year’s awards. 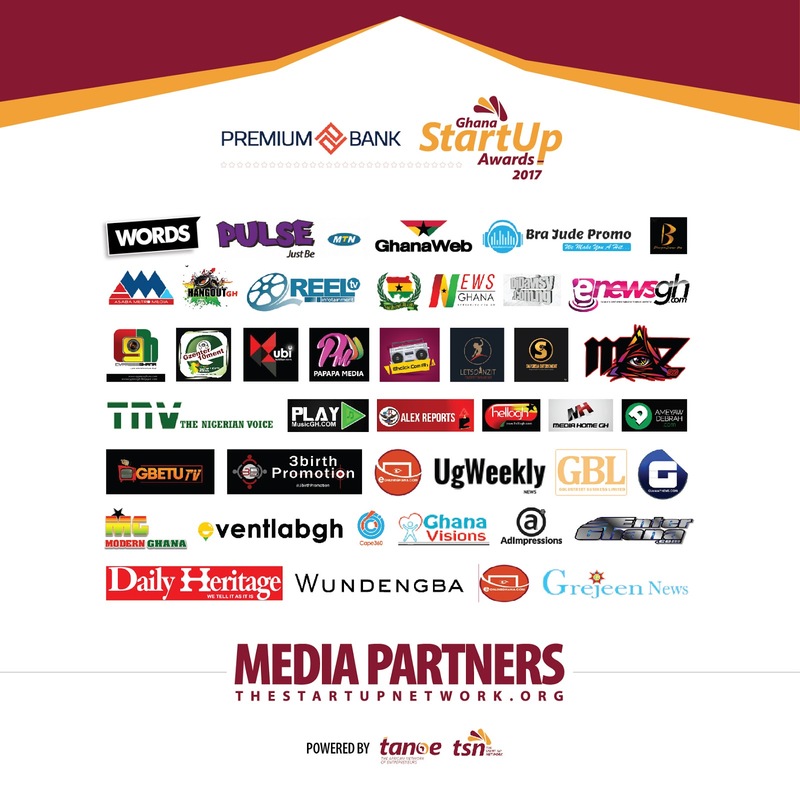 The 2017 Premium Bank Ghana Startup Awards spearheaded by The Startup Network, a project by TANOE is in partnership with Premium Bank, the headline sponsor, KPMG the awards statisticians, iConceptsPR, The HelpStation, Avance Media, Edel Consult, Kumasi Hive, HapaSpace, MEST and TentMaker Ghana and is part of TANOE’s contribution to enhancing the Startup Eco-System in Ghana and providing the support and public recognition needed for startups in Ghana to thrive.